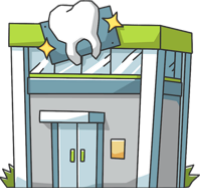 These are the most common insurances accepted by Dentists in Fort Worth, TX. I still drive from Dallas for his excellent quality of care, his ethical standards. Best of the best. Best dentist I have ever been to! He’s very good at keeping you pain free and he’s very efficient! I had a crown replaced and the entire process only took 1 1/2 hours and I left there with my permanent crown (no temporary!!) Every office staff member and hygienist has been so nice and knowledgeable too! I am so happy not to have to dread going to the dentist anymore!. Expert in extraction. So quick and painless. Thanks for my million dollar smile!!!! Your the Best!!!!. Amazing staff and wonderful dentist! I broke my molar on a frozen snickers (yes for real) and Doc Holliday fixed me up like new! Easy and painless and wonderful people- GO SEE HER! ❤️.